A place for a museum? Could this building house an Australian Museum of Architecture? 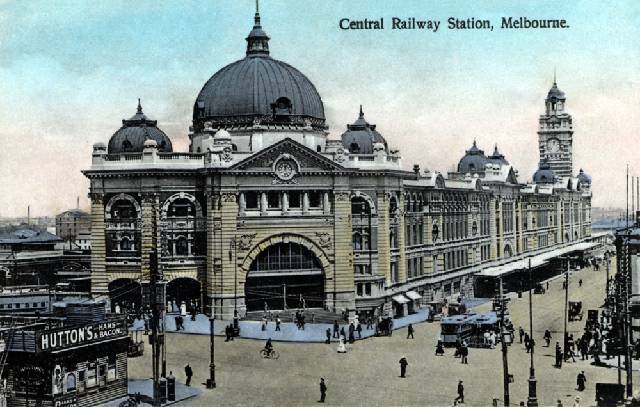 Image from The Collector's Marvellous Melbourne. It’s way past time Australia had a national architecture museum to promote the value of good design and celebrate the enormous contribution the discipline has made to the built environment. We have museums for the arts, sport, technology, industry, and a host of other subjects, but somehow architecture has been forgotten, consigned toworthy but minor institutions or the occasional exhibit in State museums and galleries. It’s a pity, because the story of architecture in Australia is rich and exciting. The fusion of function and art inherent in the discipline describes and illustrates the social, economic and cultural development of the country in ways that other disciplines can’t. Architecture (including urban design) isn’t a minor sub-branch of the arts; it plays an important role in the functioning and quality of life of cities in one of the world’s most urbanised nations. Establishing an Australian Museum of Architecture (AMOA) would be a way to enhance understanding of the contribution architecture can make to life in Australia. It could tell the story of architecture with all its rich regional and historical variation. The built environment offers plenty of scope to make a museum offering exciting exhibitions with broad appeal. A pet subject of mine as well, I've been promoting this idea for a long time now to anyone who cares to listen. I always thought that the Docklands, especially Victoria Harbour would be the perfect spot for this museum. Thank you Alan for bringing it to the fore again and also Sean over at Walking Melbourne who has tirelessly promoted this idea as well. AMOA for Melbourne, what a great idea!